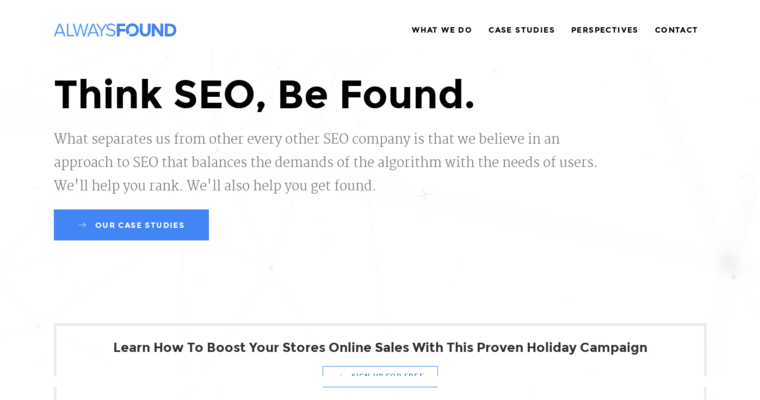 Always Found is a search engine optimization service provider that consistently comes through on its promise to deliver value without fail. 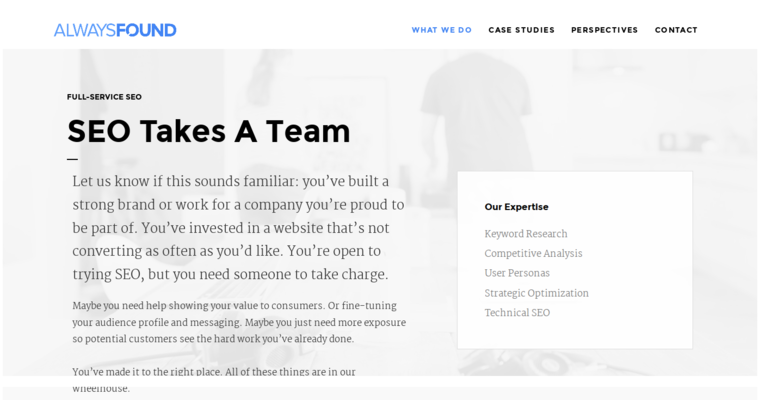 This firm provides its customers with the comfort of a performance guarantee with every purchase so they do not have to worry about finding yet another search engine optimization firm to help get it on track. Always Found offers its customers a full-service search engine rankings page results lift, something that is accomplished through redesigning your website, changing code used to actually develop your company's web pages like a computer programmer would, developing an in-depth digital strategy, and developing quality content that the Internet and your customers are almost certain to love. Month after month, Always Found promises to either boost your ranking on search engines for certain terms or expand the number of search words and phrases that you rank for.